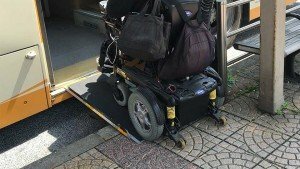 Just walking (or rolling) around in a wheelchair is very easy in Japan. Sidewalks are smooth and curbs are cut. Many smaller roads don’t have a sidewalk but just a painted line to indicate where you should go. 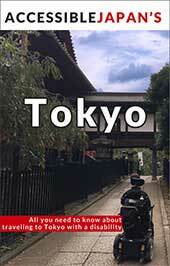 For the most part Tokyo is very flat, but – being a mountainous country – many areas can feature very steep roads. Charge your batteries! For those with visual impairment, sidewalks and train stations are equipped with special tiles to indicate safe and unsafe paths. 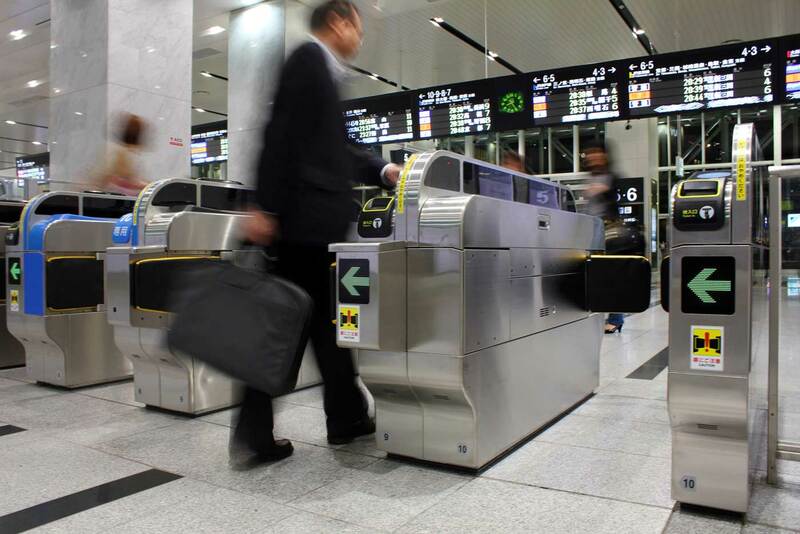 Trains make perfect sense in Japan and have been the backbone of transit since the 1860s. While stations were not originally made with wheelchairs in mind and have many flights of stairs, a tremendous amount of effort has been made and stations are now nearly all accessible. This is usually accomplished with elevators, but in some cases stair lifts are used as well. By far the most interesting – and terrifying – are the escalators that can carry wheelchairs by having three steps form into a platform. 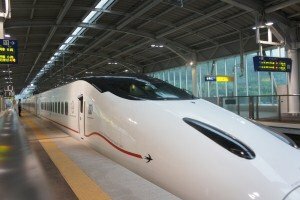 The Bullet Train, or Shinkansen, is the ultra-fast train that Japan is famous for. While you can buy a regular ticket for it, it is recommended that you buy a reserved seat. As it can take some time to get the time scheduled, you should do this in advance. 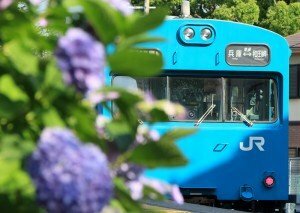 When reserving a seat at the Midori no Madoguchi (“Green Window” – a reservation center in larger JR train stations), you will tell the staff where you want to go and when you want to arrive. They will help you find the best timed train – and then spend a lot of time on the phone… a lot. If the special wheelchair area is available, they will reserve it and give you your tickets (a boarding ticket and a reservation ticket). If not available, they will suggest another departure time. There is a special “multi-purpose room” on most trains. It is large enough to seat a wheelchair user and two ambulatory riders. The seats can be extended into a bed and the door is closeable. Some train lines will not let you use it unless medically necessary. In this case, there is also a row of seats which has a seat removed where you can sit in your wheelchair. All Bullet Trans have an accessible washroom – it fits a wheelchair, but is on the tight side. Read our Bullet Train review here! Most buses that run between cities and the airports are not accessible. City buses, on the other hand, generally are wheelchair accessible (though, can vary with city/location/route/time). Unfortunately, the system of loading is a bit more inconvenient than the train and requires the bus driver to physically take out and set up the ramp. Your typical run-of-the-mill taxi will often have a handicap mark on the side – this means that you can put a fold-able manual wheelchair in the trunk. For those who use an electric wheelchair, vans with lifts as well as mini-buses are available. However, they are not readily available and need to be booked in advance. 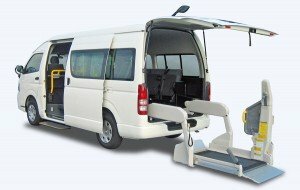 If you feel that a wheelchair van would be best for your needs, please contact us.